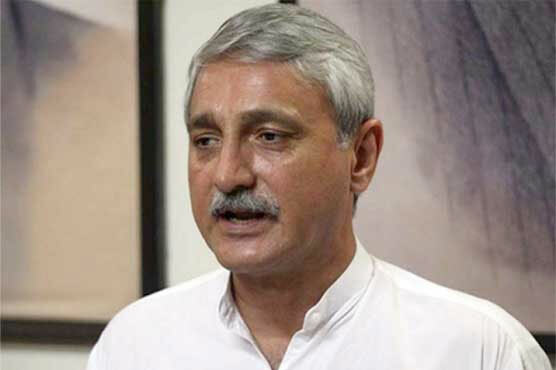 Pakistan Tehreek-e-Insaf (PTI) senior leader Jahangir Tareen on Monday reached Karachi to meet a delegation of Muttahida Qaumi Movement-Pakistan (MQM-P). According to media reports, Tareen has been tasked reach out to MQM-P and invite them to join the coalition at the Centre. Speaking at the Karachi Airport, Tareen said that the public has given their party a mandate to form the government, adding that their ideology is to bring a change in Karachi as well as in other parts of the country. He also expressed the desire to form a coalition in Baclochistan by supporting Balochistan Awami Party (BAP) which managed to secure the most number of seats in the province. He denied any disputes within the party ranks. He was welcomed by MQM-P leaders including Farooq Sattar, Karachi Mayor Waseem Akhtar and Khawaja Izhar-ul-Hassan. Tareen was accompanied by Leader of Opposition-elect Firdaus Shamim and Imran Ismail.